Hal and I couldn't be happier to share our latest addition to the Red Cap Family. Our little peanut, Miss Arlo Mertz. 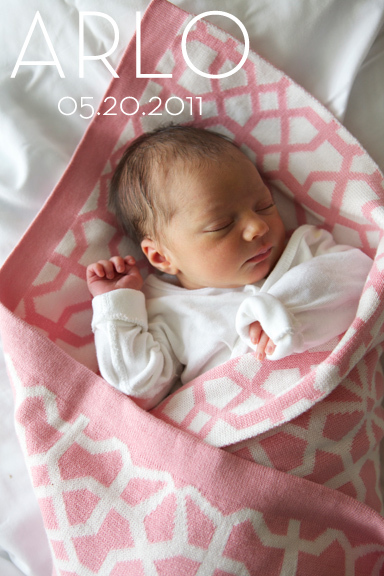 She arrived May 20th, 2011 at 4:06 am. Hal and I are completely love sick and overflowing with joy. People always tell you that being a parent is the most amazing experience… Well now we know what they are talking about. It's mind blowing! We highly recommend that all of you get yourselves one of these.